I am not a tech person. I do not have the mind of an engineer. I spent my childhood reading library books and pretending to be a ballerina, not taking apart electronic gadgets or building Lego towers. At one point, just before starting graduate school, I remember consciously considering what it would be like to get off the technology train and just stick with what I knew. That was in 2006. When I started graduate school, I was decidedly tech phobic. I was studying geography, and one of the requirements of my master’s program was two semesters of geographic information systems, GIS. At that time, GIS software was quite technical, requiring knowledge of SQL, database logic, and an ability to enter terms exactly into a command bar in order to produce a result. I was terrified. But then something remarkable happened. I took my first semester of GIS, and I actually liked it. It was a grind, the software was clunky, and it could take hours to produce single decent map, but when it worked it was amazing. Even more important than making maps, GIS helped me conquer my fear of adopting new technology. Which is a good thing because over the next several years I got a Gmail account, joined Facebook, created my first blog, and started using cloud storage. Let’s just say it was the right decision not to drop out of technology in 2006. The thing is, these days, technology is not an option. We are all required to be tech people, at least on some level. Just for a second, allow me to channel my husband and think like an economist. If you’re studying business or planning to do so, you are trying to increase your productivity as a worker. Ultimately, increasing your productivity - the value you are able to produce in a given amount of time - is what drives your ability to command a higher salary. Productivity is a function of your skills, knowledge, and abilities in combination with the technology you are able to use. The second half of that equation - technology - is not to be overlooked. I am not talking about your ability to create new technologies as a programmer or engineer. That is a different skill set - and a highly valuable one indeed. But no matter what your profession, and even for those of us who are much more poet than quant (myself very much included), there is absolutely no excuse for not becoming proficient at using ordinary workplace technologies. A few words of encouragement for the technologically challenged or out of date. First, technologies have gotten a lot easier to use. Second, some of the simplest things you can do to improve your productivity are also the most impactful - like increasing your typing speed. Third, there are a TON of resources out there to help you. 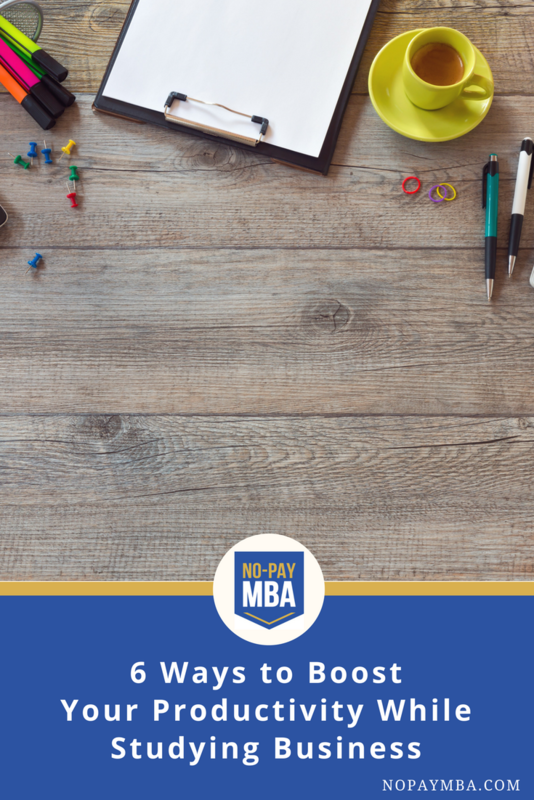 Without further ado, for anyone who is studying or considering studying business on their own, here are 6 pieces of advice on how to get up to speed, boost your productivity, and set yourself up for your technology future. 1. Become a faster typist. It sounds simple, but one of the best things you can do to improve your productivity is to become a faster typist. Most jobs today require that you engage in some form of written communication, most commonly email. If you can increase your typing speed, you can dramatically increase your overall email throughput, and that can add up to hours over the year. The average person types about 36 words per minute. Imagine you respond to 25 emails per day, averaging 200 words per email. If you could increase your typing speed from 36 words per minute to 90 words per minute (which is fast but attainable), you could save yourself over 300 hours per year. That’s almost 8 full work weeks! 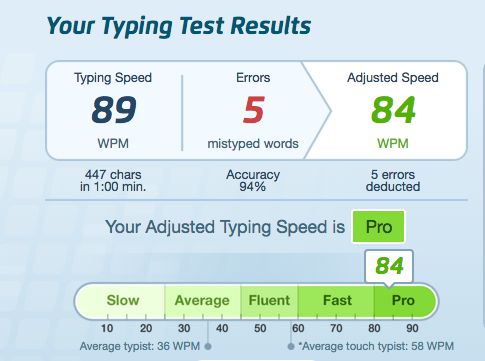 Here is one of several websites where you can test your typing speed. 2. Manage your email like a pro. I am somewhat of an email fanatic. I have three email addresses - one for my day job, one for No-Pay MBA, and one personal account. I can’t stand letting my email build up. Which is why all three of my inboxes usually look like this. You don’t have to hit inbox zero every day, but trust me, you will feel so much better if you can figure out a way to keep your inbox to less than a page. Because I feel so strongly about this, I have started helping friends, family, and colleagues to make a fresh start using a process I call Inbox Therapy. Next, archive all your other emails. Seriously. All of them. If you’d like a more in-depth treatment of email management, I suggest this course on keeping your inbox to a minimum. 3. Get good at online coordination. Whether your team is scattered across the globe or in cubicles on the same floor, much office coordination now happens online. 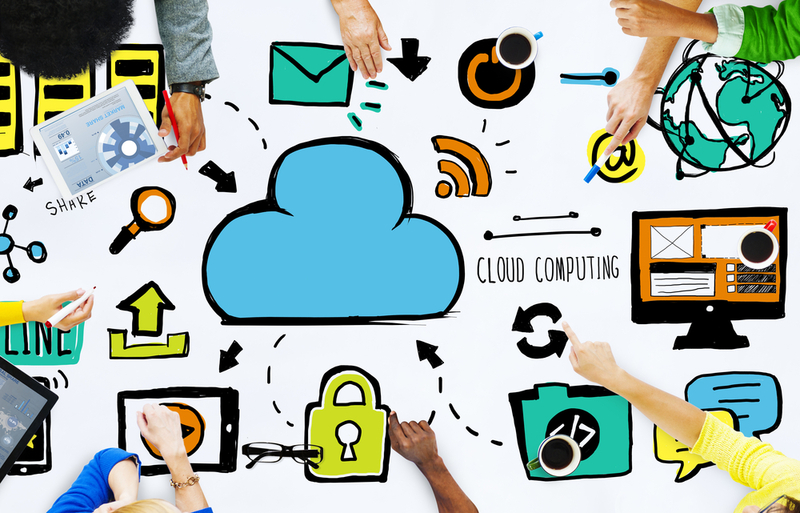 The ability to manage shared documents, calendar invites, video conferencing, and other coordination software is key in the modern workplace. It’s also something that we stress quite heavily in the No-Pay MBA Network, given that we have members from San Francisco to Singapore. Below are some of the tools we use to stay organized. If you are ever planning to change jobs again, I recommend learning all of these, even if your current organization doesn’t use them. All of these technologies are widely used by businesses of all sizes, and are completely free or have a free version, so there is no excuse for not learning the basics. Slack. The best messaging app around. Allows conversations to be organized into “channels,” which group members can opt into or out of. Integrates with everything. Gini Courter, who has taught workplace software classes for 20 years, offers this primer on Slack through the Lynda platform. Trello. A visual project management tool that lets you put tasks onto “cards” and then move them through a workflow (e.g. to do, doing, to review, completed). Commonly used in software development, Trello has migrated to other industries. I like this beginner course on Trello, which explores some of its more commonly used features. Google Calendar. Calendar invites are another small signal of your professionalism. I love Google Calendar for its ability to deal with multiple time zones - and the fact that it is free. Productivity and technology expert Jess Stratton teaches a short course on Google Calendar on the Lynda platform, which is a great place to get started. Google Drive. I don’t mean to come across as a Google evangelist, but the suite of tools housed within Google Drive is incredible. With this free program, available to anyone with a Google account, you can create shareable documents, spreadsheets, slide presentations, and surveys. Being able to share and edit documents in real time is critical to collaboration on team projects. While there are other platforms for document sharing and collaborative editing, Google Drive is ubiquitous and free. If you ever expect to be on the job market again, you should know how to use it. Jess Stratton also offers a beginner course on Google Drive, giving you exactly what you need to start using this powerful tool. 4. Learn some basic design skills. “Content is king,” Bill Gates declared in 1996. Those words were prophetic indeed. We have become gluttons for content, gobbling up YouTube videos, Medium articles, and BuzzFeed posts, always hungry for more. Even if it isn’t the organization’s core business, almost every organization, whether for-profit, nonprofit, or governmental, is in the business of creating content. Individual workers, too, must create content from time to time. From the slide presentation you deliver to your extended team to drafting an email newsletter, most jobs require some ability to organize and present information visually. But where do you start, if like me, you are graphic-design challenged? Luckily, you don’t have to learn Photoshop in order to make decent-looking visual communication products. If you’re frustrated with Power Point, the web-based presentation program Prezi is a great alternative, allowing you to create dynamic, visually compelling presentations that capture the big picture. This course on Lynda is a good place to get started learning Prezi. If you’re creating images for web or print, Canva is an excellent, easy-to-use, free program, also with a nice Lynda course to help you get started. This one I’m throwing in just for you personal productivity whizzes who are looking for a new way to up your game. A few newer apps like Zapier and If This Then That (IFTTT) allow you to sync up web applications to create automated tasks flows. For example, you can automatically save Gmail attachments to Dropbox. Or automatically create a Trello card each week for a recurring responsibility. If you don’t do many routine tasks, you may not have an immediate use in mind for this kind of application. However, I am convinced that going forward the most productive people will be using automated workflows to do more and more of their routine work. Zapier is my favorite of the automation apps I’ve tried. I have several “zaps,” as they’re called, going at any given time. Udemy has a good starter course on Zapier if you’re interested in giving it a try. This last item is more a rule than a tip. The point is that it’s not enough to master the list of popular productivity technologies of today. Rather, it is incumbent upon you to continually update your personal operating system. If you don’t, you send a not-so-subtle signal to your colleagues that you are out of date, that your skills have gotten dull. While your mind may be as sharp as ever, by ignoring or failing to learn new technologies you diminish your professionalism. Your goal is to become nimble enough with technology to continue to pick up the latest technologies throughout your career. Try out one new app per month. This article on the best new apps for iPhone and this one for Android are good places to start. Start listening to one of the many technology-focused podcasts, such as those listed here. Volunteer to learn a new technology and teach it to your team at work. If you have a hobby or side project or belong to any organizations, channel your enthusiasm for your passion project into learning a new technology - for example starting a blog site or creating a visual communication product with a new design software. One of the best things you can do during your business education - whether self-administered or university-led - is to double down on your commitment to boosting your productivity and getting up to date on the latest technologies. That, dear readers, is my challenge to you. May you embrace it with gusto.